WOW Members, IloÄ�ki Podrumi and Bottega Among the Stars! 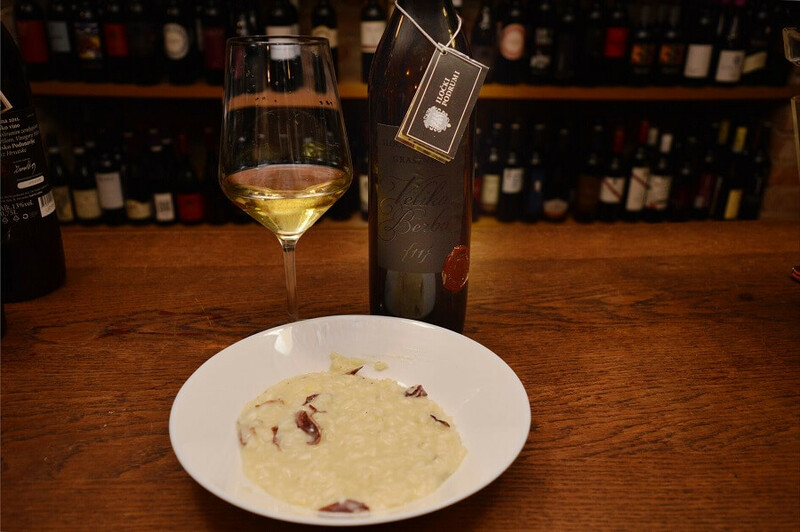 On Wednesday, April 17, at the Bornstein wine bar and wine shop at Zagreb's Kaptol, the first edition of the small but stellar wine project of the charming name WOW ASTRO WINE was held. It was a fun and educational evening in which wines and astrology merged. The project was created under the auspices of the WOW association and was conceived by WOW member Maja KuzmanoviÄ‡, WSET2, with the support of astrologist Jadranka PeriÄ‡ Adrianna Astrology. The idea was strongly supported by WOW president Sanja Muzaferija and Doris Srpek, a WOW member who hosted the event at the legendary premises of Bornstein, the oldest, but also the most innovative Zagreb wine shop. 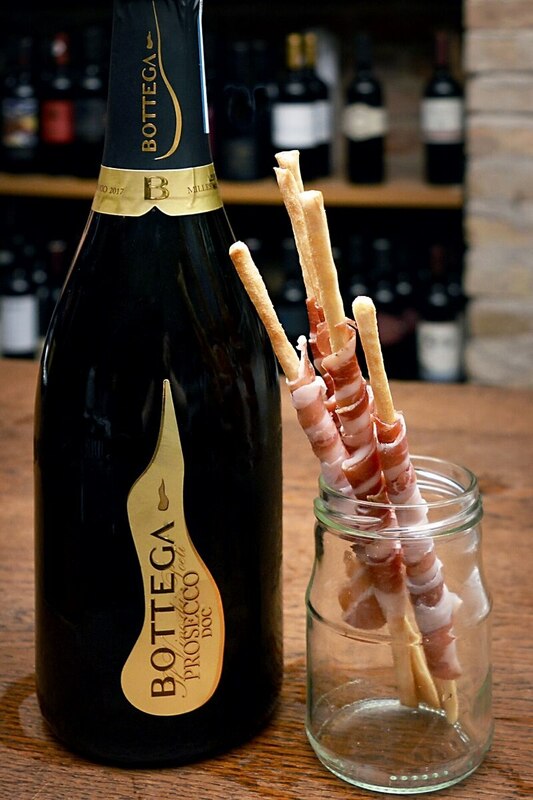 With the help of the Bottega brand ambassador, sommelier Ines MatiÄ‡, the evening started with sparks â€“ the 2017 Bottega Prosecco Milessimato. 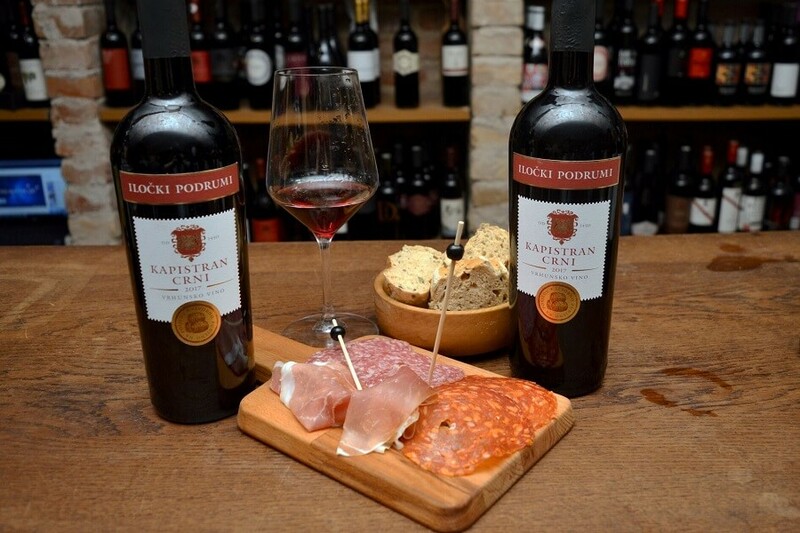 Fresh, fruity and herbal at the same time, it sparked until the presentation of the first of the four wines by IloÄ�ki Podrumi (Ilok Cellars) which were described by Å½eljka Balja, who briefly told the history of the great winery. Did you know that every moment, every event and not just every person â€“ can have their natal map? 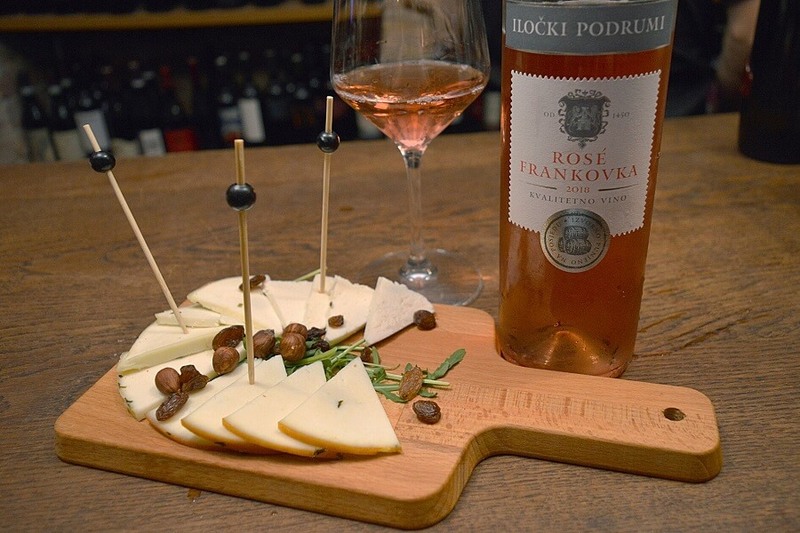 This event was held in the sign of Aries, and for this reason, the first selected wine was 2018 ROSÃ‰ FRANKOVKA by IloÄ�ki Podrumi, a wine of exceptional freshness and fruity aroma, with emphasis on raspberry, ideally suited to the dynamic energy of Aries. The harmony and elegance of the body, as well as outstanding balance, are undoubtedly the features of Libra. And the ascendant of the event was in the sign of Libra, as well as the Moon that was also in Libra that evening. 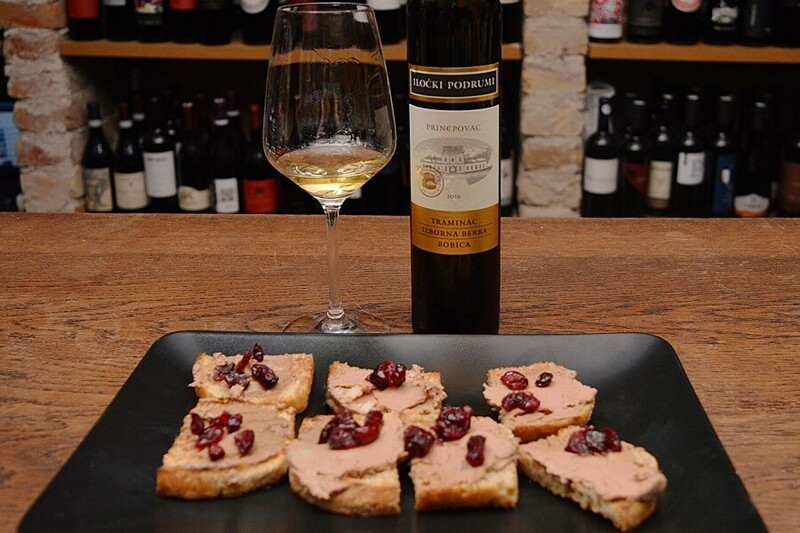 The second wine was 2011 GRAÅ EVINA VELIKA BERBA 2011 by IloÄ�ki Podrumi. The wine proved that this vintage was extraordinary and that it was indeed great in every respect. Dry, gold-yellow colour, with fruity aromas of apples, pears and dried fruits, creamy and complex, aged in barrels for three years. Sagittarius best describes this wine, just like this wine can describe the Sagittarius as a person in love with everything unknown to him, the new, the big, the solemn... The wine was so expressive that even the audience immediately guessed to whom it "belongs" and with whom it is best paired. The third wine was 2017 KAPISTRAN CRNI, another top-quality wine, with 70% of Frankovka and 30% of Cabernet Sauvignon. Deep ruby red colour, delicate fruity aromas with notes of blackberry and plum, and a light touch of smoke and black chocolate, full, complex... The astrological-oenological analysis concluded that it is mystical like Scorpio â€“ governed by the powerful Pluto, intense, passionate, fearless and emotional. With a dose of chilly-spiced snack, the wine became even more powerful. The evening ended with a predicate wine â€“ Traminac of the selected harvest 2016. The fine wine of the amber colour, intense and rich in rose scent, with gentle honey notes. Full, harmonious, sweet, but well-balanced â€“ it matches the Zodiac sign of Libra which loves refined tastes and scents, romance and all that is sensuous. The guests and media representatives went home satisfied with the excellent snacks by Bornstein, enchanted with the music selected according to the Zodiac sign of each of the presented wines, rapt with wine and stars â€“ which were definitely on the WOW side that evening. Until the next time, let stars and your favourite wine protect you. More wine news can be found in the Lifestyle section. ZAGREB, April 19, 2019 - The European Federation of Journalists (EFJ), of which the Croatian Journalists' Association (HND) is a member, on Friday issued its manifesto ahead of elections for the European Parliament, scheduled for 23-26 May, to help promote media freedom, media pluralism and quality journalism in all EU member states and countries aspiring to join the bloc. "Journalism is a public good," the EFJ says, urging policymakers to support its proposals "for the revival of a free, trusted and pluralistic media in Europe, where possible in cooperation with the Council of Europe, the OSCE representative on Freedom of the Media and other relevant stakeholders dealing with media." Europe needs media pluralism, financial sustainability and the future of journalism, investigative journalism, collective bargaining and social protection for all workers, trust and accountability through ethical journalism, authorsâ€™ rights and fair contracts for all, strong independent public service media, and safety at work for journalists, the manifesto says. Although the EU Charter of Fundamental Rights promotes freedom of expression, media freedom and media pluralism, journalism and journalists are increasingly under pressure, the ECJ warns, recalling that four journalists have been killed in the EU in the last two years. "The financial sustainability of independent media is at stake, media concentration is on the rise and the increasing power of the internet platforms caused an unprecedented threat to our news and information ecosystem lacking accountability, transparency and regulation," the manifesto says. "The 2019 EP elections come at a turning point for the European Union which urgently needs to reconnect with its citizens and represent their interests. We wish a forward-looking EU where not only the economy and growth matter but where concrete action is taken to ensure that everyoneâ€™s right to know is guaranteed. "Unfortunately, the solemnly proclaimed European Pillar of Social Rights (EPSR) and the European Semester together with other EU strategies, such as the Digital Single Market (DSM) do not sufficiently provide an adequate framework for Member States to take action to protect (freelance) media workers and journalists, who often live in extreme precarious conditions and thus leave the profession. The future EU budget should help to deliver on EU post-2020 social and non-discrimination objectives, equal treatment for all workers independent of their employment contract, while a renewed political impulse is needed to support journalism as a public vital good," it adds. The ECJ recommends promoting laws that encourage independent media and thwart the concentration of media ownership, supporting initiatives on monitoring media pluralism and checks to ensure that new EU legislation is consistent with the principles of media freedom and pluralism, and supporting initiatives that enhance gender equality and diversity in the newsroom. "Media pluralism and democracy require that all voices are heard in the media," the ECJ stressed. To ensure financial sustainability and the future of journalism, the ECJ recommends supporting initiatives that explore new ways of funding journalistic work, including non-profit financial models, and develop new socially sustainable economic models aimed at financing and supporting professional independent and investigative (cross-border) journalism. With regard to investigative journalism, the organisation recalls that its role is to "hold institutions and individuals accountable to the public." It recommends abolishing criminal defamation laws, ensuring open access to EU documents and public data for citizens and journalists, and supporting proposals for the protection of journalists who are regularly subjected to lawsuits intended to censor their work or intimidate them. The ECJ recommends ensuring equal rights and equal treatment for all forms of employment including free-lancers and journalists working in digital media/start-ups through fair working contracts with sufficient social protection. As for authors' rights, the ECJ recommends ensuring full recognition of journalists as authors and fair and proportionate distribution of their revenues generated in the digital world deriving from such rights. Warning that public service media is increasingly under attack in Europe, the organisation calls for a sustainable funding model for an independent public service media that serves the public interest, for the protection of public service media against political interference in their daily management and editorial work, and for supporting the need for public service media "to be able to adapt, innovate and develop, with emphasis on the online remit and the need to reach all (and in particular young) audiences." To protect journalists' right to work freely without the fear of physical violence or imprisonment, the ECJ recommends implementing Council of Europe recommendations on protection of journalism and safety of journalists and other media actors at the national level, monitoring the ongoing investigations about murders and physical attacks against journalists, and engaging against the increasing (online) threats and harassment against journalists and in particular female journalists. The EFJ is the largest organisation of journalists in Europe, representing over 320,000 journalists in 70 journalistsâ€™ trade unions and professional associations across 45 countries. More news about journalism in Croatia can be found in the Politics section. ZAGREB, April 19, 2019 - Unionists in the Uljanik shipyard said in Pula on Friday the situation was alarming and disastrous, and that the government was responsible due to its inaction. "Recently... there has been less and less talk about Uljanik, where the situation is harder by the day. The situation has been alarming for a long time, but what has been happening to us over the past month is disastrous. Someone should be held accountable for this situation," unionist Boric Cerovac told the press, adding that "politicians are responsible, whether at local or national level, everyone should be called out." He once again invited Prime Minister Andrej PlenkoviÄ‡ and his ministers to come to Uljanik and to the 3. Maj shipyard in Rijeka, and tell workers what they actually wanted regarding Uljanik and shipbuilding because "only they can resolve this." "The government is toying with workers' fate, saying they are looking for rescue but doing nothing. They mention the Chinese, Norwegians, Africans, Americans, but there's no solution. With each new day, workers are in bigger problems because the wages aren't coming," Cerovac said. They have been working without pay for eight months now and the delays of bankruptcy proceedings are only delaying the end of this agony, he added. Cerovac said his Adriatic Union had been warning about the problems and the government's idleness, and that it demanded the payment of wages or interim financing. "That hasn't happened and I don't know what else we unions can do after months of efforts, talks and the economy minister's promises that the wages will be paid... We can no longer believe the government and the minister? Evidently not." Cerovac said the 150 workers of the Uljanik Group's security, accounting, legal and personnel departments today decided to leave the group, and that without them it could not function. As for a bankruptcy hearing for the Uljanik dock at the Commercial Court in Pazin, he said: "These are spins to buy time, to do the European elections... There's no intention for something positive to happen. The majority was for bankruptcy if no other solution was found. The decision on bankruptcy is made by a judge. Everyone can say they want bankruptcy, but if the information comes from politicians, it won't happen." Another unionist, Ä�ino Å verko, said the "key of the rescue" is in PlenkoviÄ‡'s hands and that Uljanik needed interim financing for workers to survive. The government can agree with potential partners after that, he added. Supervisory Board member Samir HadÅ¾iÄ‡ said only the government was responsible for the current state of affairs and that its inaction was costing taxpayers one million kuna a day. Economy Minister Darko Horvat said on Thursday that executives of the China Shipbuilding Industry Corporation would visit Uljanik Group on 30 April and 1 May to explore possibilities for cooperation and that after that they would hold meetings with the Croatia side, however, Horvat declined to speculate the outcome of the Chinese visit to Pula and Rijeka. More Uljanik news can be found in the Business section. LADO will be performing at Arsenal in Zadar on 26 April 2019 to celebrate seven decades of continuous activity. In 70 years of existence, LADO has more than 5,000 performances in Croatia and around the world under their belts for which they have won numerous awards. The group, which was founded in 1949, was nominated a few years back for the prestigious Independent Music Award (IMA) in America. Lado has had numerous famous Croatian ethnographers and choreographers, music arrangers, and folklorists work with them. Tickets for the concert are available online at eventim.hr. The regionâ€™s first ever English summer camp aimed at building writing skills in students is taking place on the island of Murter this summer. â€œTeaching English over the years, Iâ€™ve noticed that students who have been educated in Central Europe particularly struggle with expressing themselves in writing. They donâ€™t know how to start writing, they have trouble structuring their texts, and they are generally afraid of the whole process because of how little attention is paid to it in schools. My goal is to bring American-style writing classes to students in Croatia and build strong and confident writers with developed critical thinking skills,â€� explains English and Writing Teacher Jelena Primorac, who will be teaching the writing classes in English at the camp. While students will be spending the mornings strengthening their writing skills in English, the afternoons will be dedicated to outdoor adventuresâ€”the teens will be hiking, biking and kayaking with professional guides from Jamming Adventures, exploring the island and its surrounding waters. A snapshot of the camp is provided below, for details visit https://www.writingandadventurecamp.com/. 19 April 2019 – Croatia is set to hold another Guinness World Record. Next weekend, on Saturday 27 April at 3 pm young Croatian strongman Tomislav Lubenjak will attempt to set a new Guinness World Record for pushing a car the furtherest in 24 hours by an individual. â€œMy goal in 100 km!,â€� Tomislav says ahead of his world record attempt next weekend which will take place in his hometown of Zagreb. Tomislav will also attempt to break the record for pushing a car the furtherest by two people in 24 hours. The current world record for an individual pushing a car in 24 hours is 82.28 km set by Polandâ€™s Przemyslaw Marczewski. The world record for pushing a car by two people was 95.07 km, set by Macedonians Aleksandar Chekorov and Alexsandar Smilkov. â€œI believe I can do more than they could do together,â€� Tomislav, who according to Guinness rules needs to push a car and a driver with a minimum combined weight of at least 730 kg. Tomislav has been preparing for this record for a number of years. In February this year he decided to walk 100 km in 18 hours. He also prepared by pushing a car 50 km in 10 hours. â€œI decided to set the record in the category of pushing a car because it is both physically and mentally extremely demanding. As a boy I really liked to read through the Guinness Book of Records, and the people who set the records have always fascinated me. Moving the boundaries, beating oneself, the challenge of that extra step, that’s why I’ve decided on this. I want to encourage young people, especially guys, to move their own boundaries. We always needs a good challenge. Find your goal and make it even stronger every day! So to put it: push to the end,â€� he said. The former basketball player who graduated kinesiology at the University of Avila in the United States, has been engaged in sports for over seven years and is now a successful fitness coach. After serious injuries ended his basketball career, Tomislav shifted his discipline and knowledge to new challenges. “Since we live in times when people are moving less and less, I would like this action to motivate people to get started. I hope my message will reach as many people as possible and that those who always have an “excuse” will decide to do some physical activity, even half an hour a day. If I can push a car for 24 hours, you can start with a small but persistent step. And once you go, push it all the way! â€œTomislav concludes. Finally, itâ€™s springtime and for many Croatians that means spending a lot of time in nature. Thankfully Croatia has beautiful nature sites with diverse sceneries. One of the most popular ones are the mountain areas where people often spend their weekends. Even if you are not much of a hiker these hiker trails are good and easy enough to try. Sometimes it might be tricky for the ones who are a bit afraid of the heights but the beauty is in breaking your personal boundaries, right? Here are some great hiking trails in Croatia. Water has always been an attractive nature part, so it is no surprise that every visitor will be mesmerized by the Istrian river Mirna and its numerous waterfalls. The roundabout that begins and ends in Buzet (near Istrian water supply) leads from Selca to Glistonia through Kuhari and Kotli, and is just ideal for beginners as well as those more active hikers who want to see the most beautiful part of this area. “Seven Waterfall Trails” will show you the mystical beauty of Istria in all seasons: in the summer; greenery and rich vegetation take breath away, in the fall; rain fills the river creating waterfalls that break over the huge rocks, in winter when the fallen droplets of water create unusual visions or the spring when first rays of the sun are inviting everyone to go outside, plants and animals. The trail is 13.5 km long and its tour is 5 hours long. It begins beneath Buzet, on the bridge of Mirna near an Istrian watercourse. Some of its parts pass through the playful riverbed of Draga river and the Mirna river, where water forms little lakes, rapids and waterfalls. But one of the most beautiful ornaments of the Mirna is so-called basins (kotli), unusual recesses in the form of small pools carved by the water in the ridge of the river. Trails are much diverse and while walking you will pass by seven waterfalls, climb the highest point of 281m and finish where you started. With a tour of these natural phenomena, do not forget the interesting fact that along the trail there is an old Napoleon bridge from built at the beginning of the 19th century. Named, the Sv. Josef or what is still called the French Bridge was built for short Napoleon rule in central Istria. The Little Prince’s trail is a famous hiking trail called even the Lesson of the Little Prince. It is located in the south part of Velebit, near the Crnopac mountain shelter (Tatek’s hut). It goes through the Velebit Nature Park and leads on top of Bili Kuk (1171 m.n.v.). The trail abounds in a miraculous visit to valuable stone formations; Dvori, Konoba, Niska vrata, Dvorska vrata, Zdenkova jama, Å uÅ¡njevac, Slipi klanac, Tisni klanac, Podkuk, Krivi klanac, Tonkina vrata, Stankina vrata, KiÄ�ma (secured by cable) and the last and most beautiful Nebeska vrata. This educational trail is amongst the most demanding climbing hiking trails in comparison with other routes in Croatia although it has a diameter of only 600 m and it takes no more than 3-4 hours to tour. The track has built-in ladders, wings, tens of meters of cables, and staircases and footpaths on a 30-meter-long section. So, although the path is full of ups and downs, and steep moments, you will be safe. And when you reach all the peeks on your way, you will be glad you did it. Tulove grede is a group of tall rocks of unusual shapes that emerge from karst on southern Velebit. They are located right next to Obrovac-Sveti Rok and are easily accessible. The road is macadamia but of very good quality, so it is easy to go with ordinary personal vehicles. Just by the road, while driving from Obrovac to the beginning of the trail, there is the beautiful church of St. Francis, built in the 19th century by the Austrian emperor Franjo I. in a memorial to the newly constructed road that merged north and south of Croatia. Many memorials to the defendants along the road remind us of the war events and the great strategic importance of Velebit in the Homeland War. The climb to Tulove grede begins with a large stone burobran which protects the road from the impact of the Velebit’s bura. When climbing, one should be very careful because there are still parts that are not completely cleared from the mine. It is advisable for everyone to keep only crowded and marked paths. The hiking trail is well-marked and well-groomed, which means it is often used. Gradually climbs on the grassy part and scattered rocks, to the left of the base of Tula. Below the trail steeply rises up to the entrance to the rocks, and comes on the slope and two smaller plows surrounded by triangles of tall rocky and smooth rocks. This first part of the trail is not difficult, but easy and unpretentious. The second part of the track that leads from the cross to the top of the Tulove grede is more demanding and requires hiking experience and a few climbing skills. On the road to the top for an easier traverse of the track, a cable is laid, and the track is traversed through narrow slopes where the backpack cannot pass. This part of the climb should be avoided for rainy weather, resulting in wet and slippery rocks. But the top view is phenomenal! You can see Novigrad and Karinsko more, Maslenica Bridge, a multitude of Adriatic islands and a particularly beautiful view of one of the most beautiful peaks of Velebit, the Holy Mountain. The Vaganâ€™s peak of 1,757 m is the highest point of Velebit. It is located in the south-eastern part of the mountain and belongs to the summit of South Velebit, near the peaks Badanj (1,638 m), Malovan (1,709 m) and Sveto brdo (1,752 m).Â The top of the peak looks like a plateau covered with grass but the view towards Lika is amazing while the view towards the sea is somewhat weaker because of the plateau on the sea side of Velebit. It takes around 20 minutes of easy hiking to reach the littoral edge of the peak, and this walk is worth taking for the view down the vertical rocks into the area of Velika Paklenica. You can reach the Vaganâ€™s peak from the seaside through Velika Rujna and from the Paklenica canyon. From the landside by the ridge of Velebit (northwest), Visocica or from the side of Medak. The top is marked with a bunch of rocks, and on a larger inscription with the name and altitude of the top. If you decide to be a summiter in Croatia, you can even spend two days in the mountains since there is a couple of hiking homes and shelters on the way to the top where you can spend a night. 19 April 2019 – Croatia will have a representative in both the UEFA Champions League and Europa League finals. RebiÄ‡ was impressive tonight in Eintractâ€™s 2-0 victory over Benfica. A 4-2 away loss in the first leg meant the German side went through on away goals. Whilst he did not get on the scoresheet himself, RebiÄ‡ played a hand in both his teamâ€™s goals and was a constant threat up front. Eintracht will meet KovaÄ�iÄ‡â€™s Chelsea side in the semi-final on 2 & 9 May after Chelsea beat Slavia Praha 4-3 at Stanford Bridge to give them the tie 5-3 on aggregate. The Croatian midfielder played the full 90 mins for the Blues. In the other semi-final, Arsenal will meet Valencia. The final will be played in Baku on 29 May. Croatia will have a player in the UEFA Champions League final for the 8th year in a row after Liverpool and Barcelona set up a semi-final fixture. Croatia midfielder Ivan RakitiÄ‡ or defender Dejan Lovren will be involved in the Champions League final in Madrid on 1 June after Barcelona and Liverpool successfully negotiated their quarter-final ties. 2019 will be the 8th year in a row a Croatian has been in the final. Only Brazil, France, Germany and Spain have players in the last seven in a row. 2019 â€“ Ivan RakitiÄ‡ or Dejan Lovren? The news was announced on the Facebook page of the KomiÅ¾a Tourist Board. “UNESCO’s Executive Board today approved the designation of eight new sites demonstrating the diversity of the planet’s geology as new Geoparks and also approved the extension of three existing Geoparks,” the Global Geopark Label of United Nations Educational Scientific and Cultural Organization (UNESCO), said in a statement on Wednesday. The summits of this magmatic penetration are today the islands of Jabuka, Brusnik, BiÅ¡evo, and PalagruÅ¾a as the geologically oldest island of the Adriatic, which, like the island of Brusnik, is constantly growing under the influence of tectonic activity. The Vis archipelago also covers seven areas protected by Croatiaâ€™s Nature Protection Act. Brusnik and Jabuka Islands are protected in the category of nature monuments (geological), Blue cave, Medvidina cave and caves on the island of Ravnik in the category of nature monuments (geomorphological), while Stiniva and Ravnik bays are protected in the category of significant landscape. The establishment of the geopark Vis Archipelago, the second UNESCO geopark in Croatia, will contribute primarily to raising awareness of the importance of protecting geological and geomorphological heritage and recognizing geotourism as a unique tourist offer. Papuk Geopark, located in eastern Croatia, was the first UNESCO Geopark in Croatia which gained its status due to the extraordinary geological and biological diversity and valuable cultural heritage of the Papuk and Krndija mountains. Among other sites given the label on Wednesday were Colca y Volcanes de Andagua in Peru, Courel Mountains in Spain, Funiushan in China, Imbabura in Ecuador, Trollfjell in Norway, and Yimengshan in China. More details about the Vis Archipelago Geopark on the official website here. 18 April 2019 – The Croatian island of Hvar is ready once again to celebrate a unique religious tradition that has taken place uninterrupted before Easter for nearly 500 hundred years. Za KriÅ¾en (Following the Cross), which has UNESCO protection, has been maintained by believers in the small towns and villages of the central part of the island, from children to the oldest residents, for 500 years. After mass on Maundy Thursday before Easter, six villages on Hvar â€“ Vrboska, Jelsa, Pitve, Vrisnik, SvirÄ�e and Vrbanj â€“ send out a group that will proceed through the other villages in a circle, covering twenty-five kilometres in eight hours before returning home. Each party in the procession is led by a cross-bearer who walks barefoot or in socks, never resting. It is a long-established and inalienable part of Hvarâ€™s religious and cultural identity and the procession connects communities of the island to each other and to the world Catholic community. On the night of the Maundy Thursday, when the moon shines in its full splendour on bell-towers, churches, vineyards and olive groves; from each of the aforementioned places, around 10 pm, the procession for their cross begins. In a clockwise direction, the procession passes through the places, stopping in the churches. In the procession participates the cross-bearer, who has the honour to carry the cross, his personal chosen accompaniment; singers and those who carry various candles, and other faithful people. At this point, the entire village is united in song at one place, both physically and spiritually. After the song, it is customary for the cross-bearer to bless the gathered people with the sacred cross he bore all night. This is where the procession â€˜Following the Crossâ€™ is completed. As Good Friday is a fasting day, traditionally Bakalar (dried cod) is prepared. Before one goes to bed, it is customary to drop by the cross-bearersâ€™ house for a portion of that hearty delicacy. During the German occupation of the island of Hvar in 1944, the procession was forbidden. In order to keep the tradition alive, Hvarans who were in the camp Ell Shatt in Sinai improvised their churches, the â€œgraves of Godâ€�, the cross and candles, and in a strange world, away from their homes, in the eyes of many foreigners, held the procession and once again proved their unwavering faith.